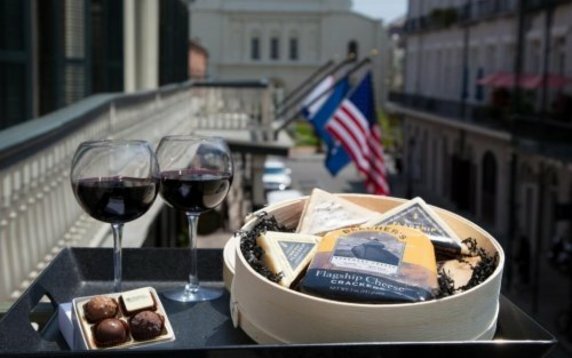 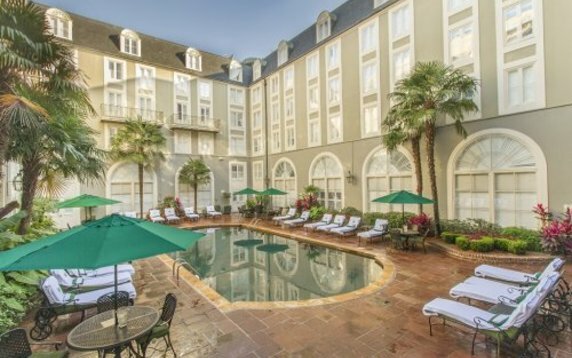 Set in the heart of the French Quarter, a newly restored Bourbon Orleans offers the history, elegance and grandeur of a European boutique hotel with all the amenities sought by modern travelers. There is no more “center” to the city than the corner of Bourbon and Orleans, directly behind the famous Jackson Square. 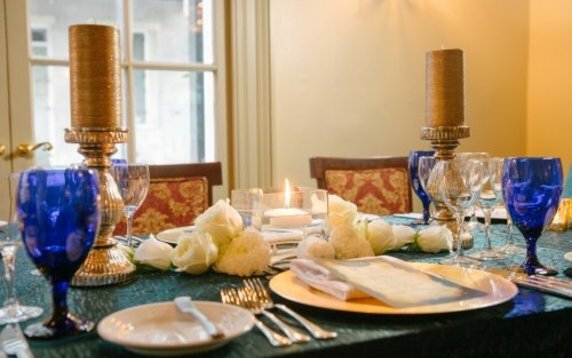 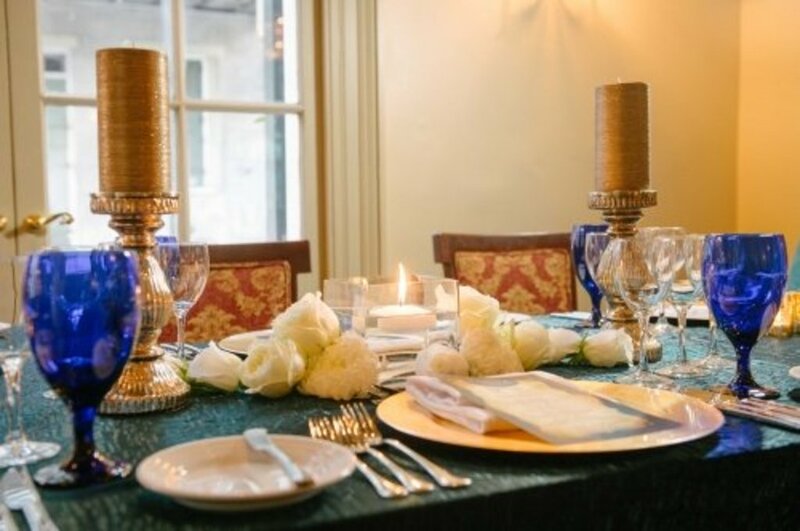 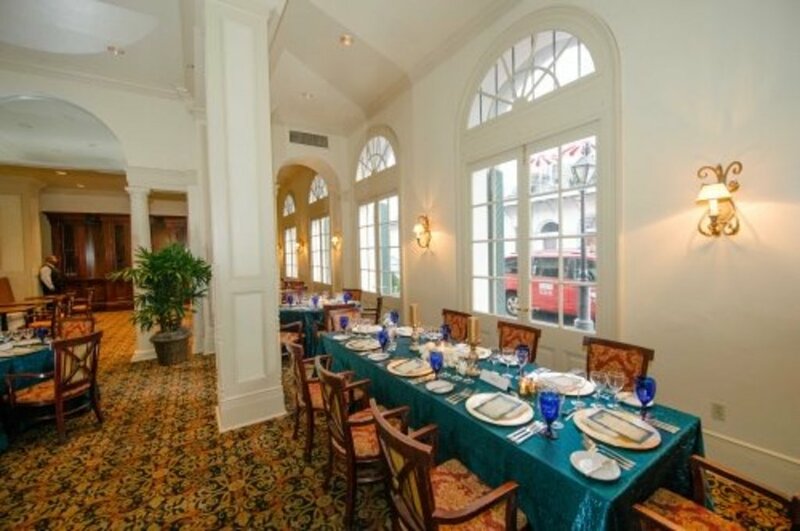 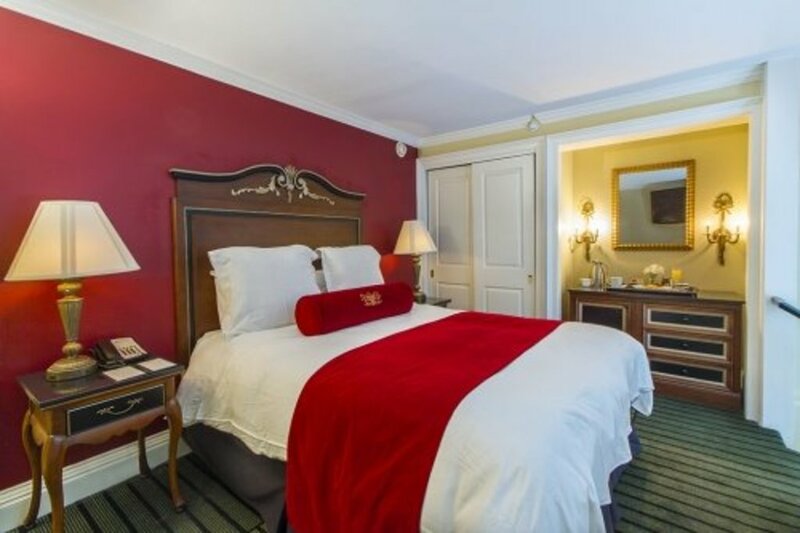 This location means guests walking distance to the best New Orleans has to offer, from upscale shopping and dining on Royal Street, St. Louis Cathedral, famous restaurants along the French Market, the Natchez Steamboat, and all the nightlife in between. 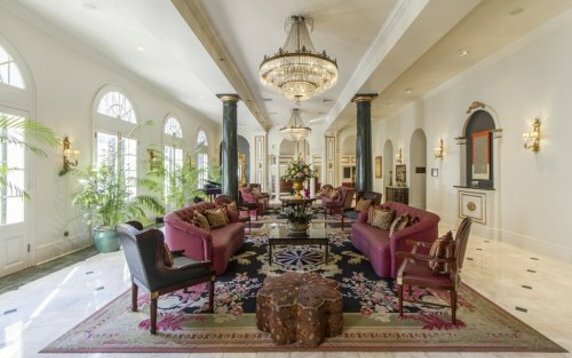 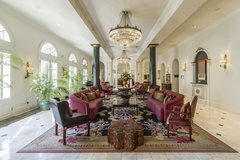 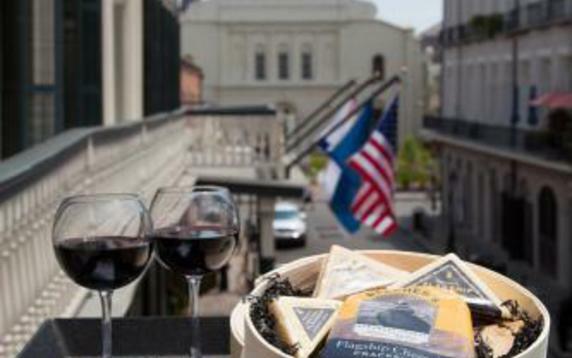 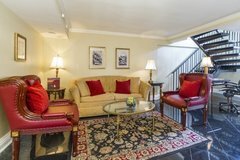 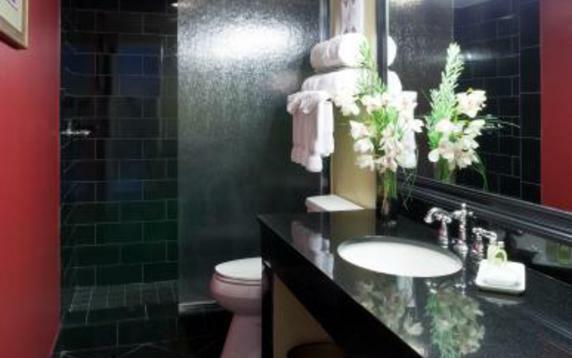 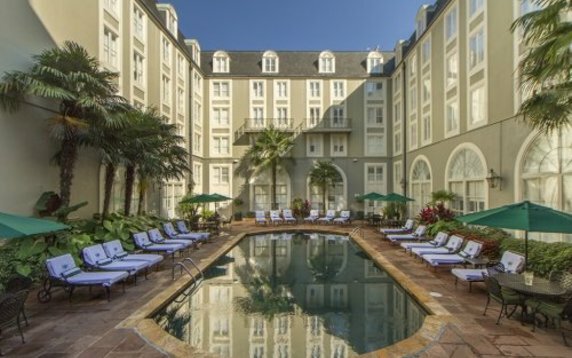 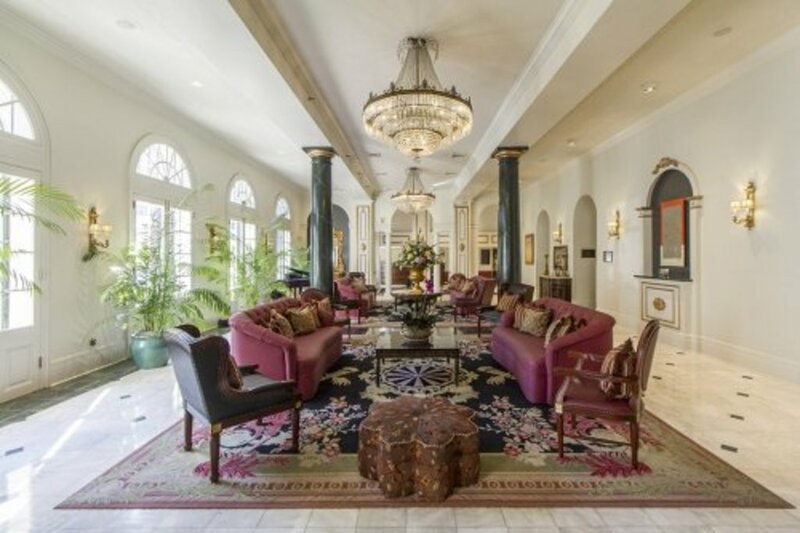 This luxurious hotel offers free Wi-Fi, bottled artesian waters, an enormous heated saltwater courtyard pool and a welcome cocktail in the Bourbon O Bar, where jazz music and classic New Orleans’ cocktails combine to make a pleasant afternoon or evening pass all too quickly. 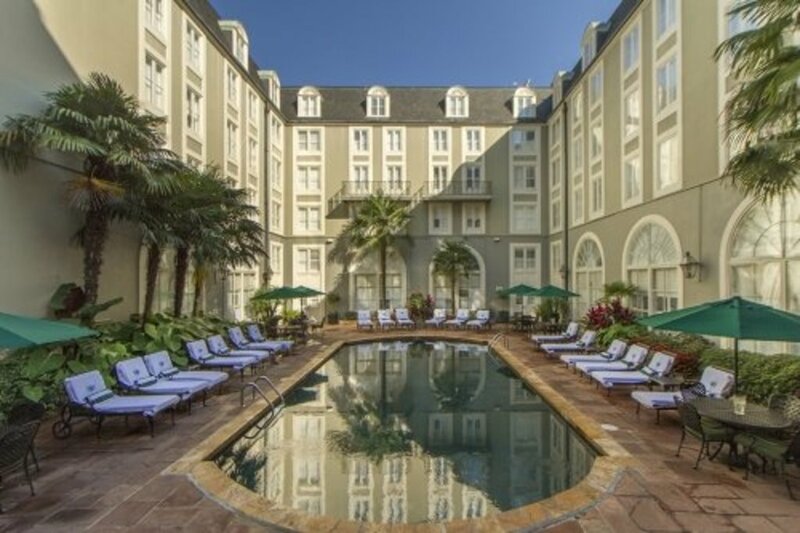 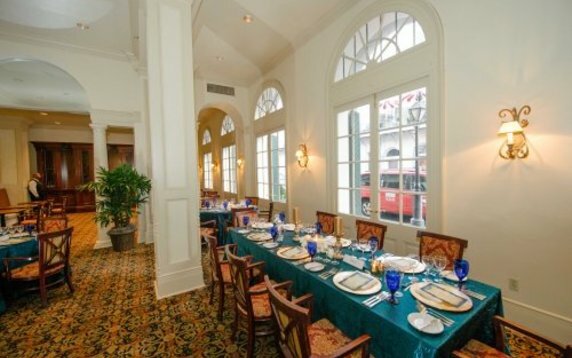 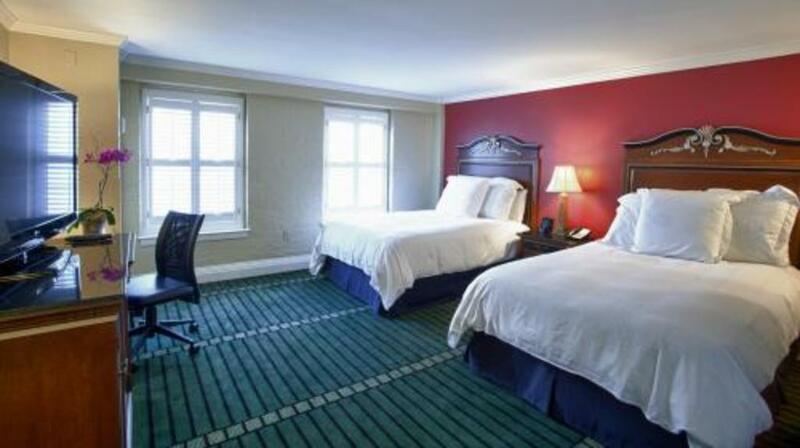 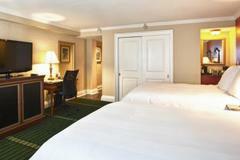 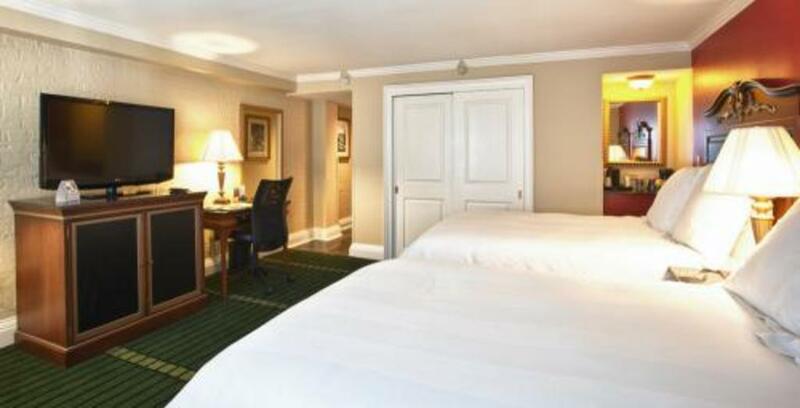 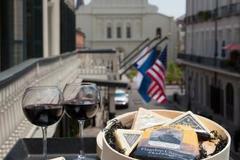 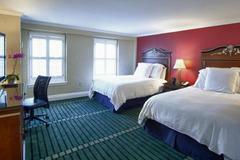 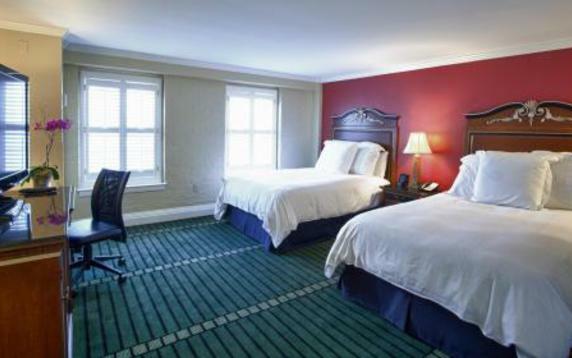 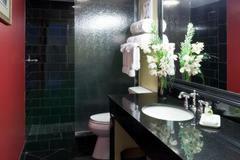 Easy valet parking is provide as at all the fine properties of the New Orleans Hotel Collection. 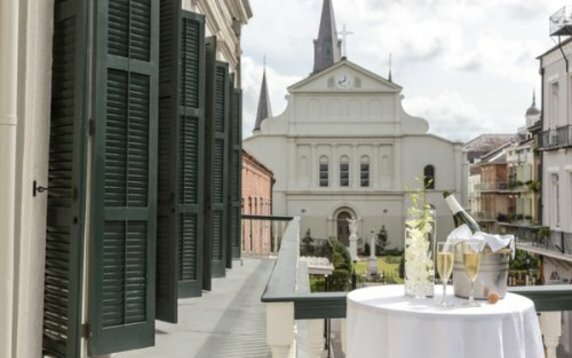 Popular hotel among LGBT guests. 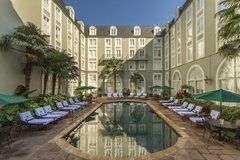 Located adjacent to two great New Orleans landmarks, the St. Louis Cathedral and Jackson Square, the Bourbon Orleans Hotel is in the center of it all. 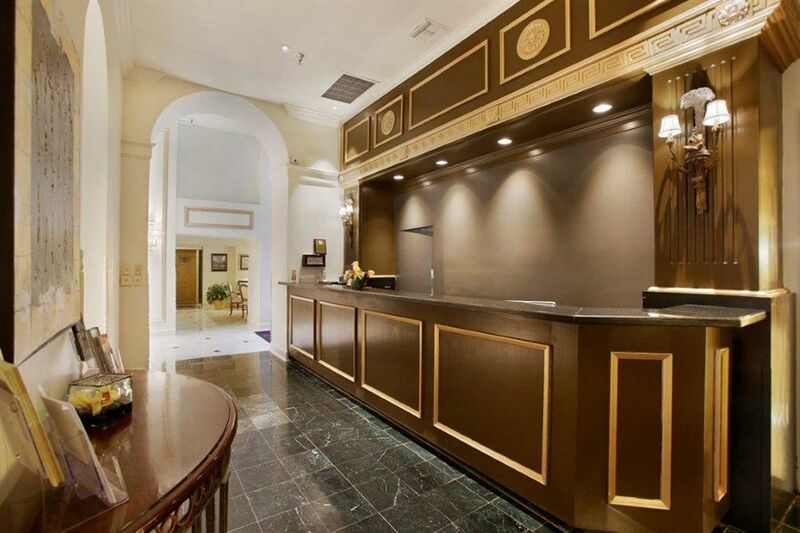 Step inside our grand lobby and you will be greeted by our friendly staff to make your stay here in New Orleans memorable. 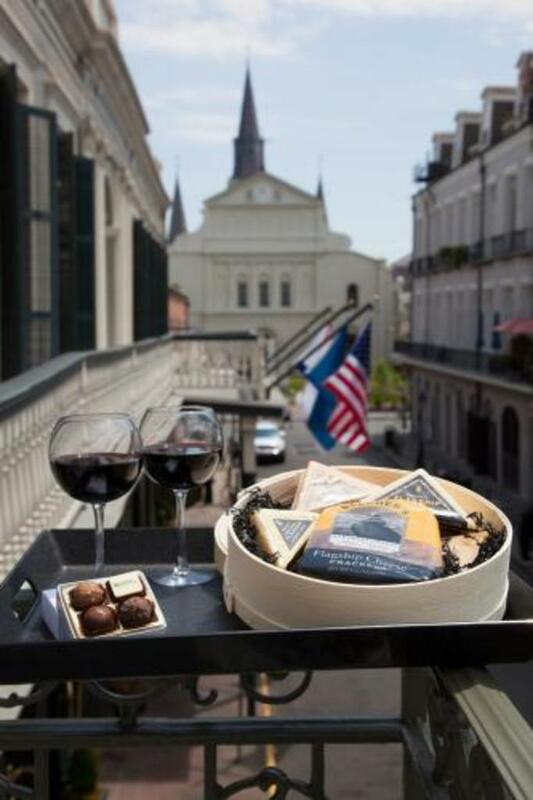 For a uniquely New Orleans experience, reserve one of our French Quarter balcony suites, where you can begin your day with a New Orleans breakfast overlooking the French Quarter. 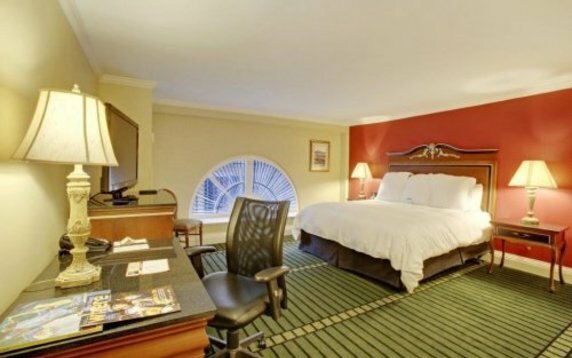 If the outside world needs your attention, our complimentary WiFi lets you stay connected. 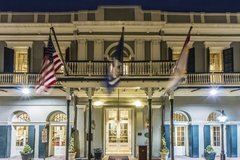 These charming and newly restored guest rooms capture the flavor of New Orleans through Provence-style decor and beautifully redone marble bathrooms and custom wide-blade plantation shutters. All rooms are enhanced with 42” flat-screen TVs, pillow-top beds, MP3 docking stations and in-room safes. 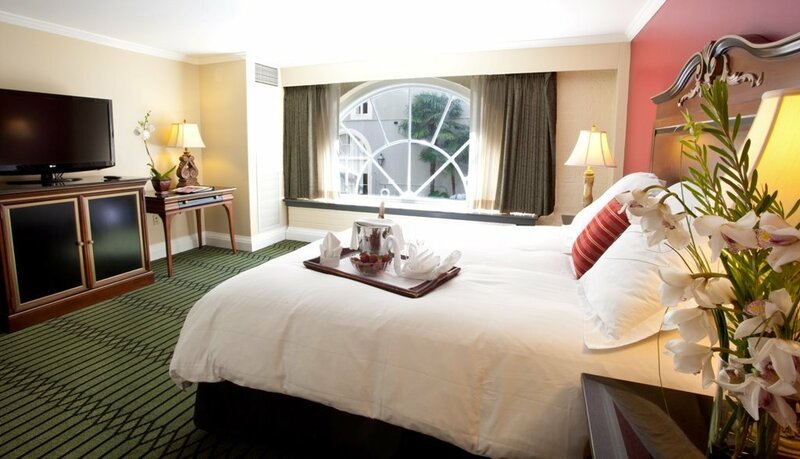 All guestrooms also feature complimentary amenities including, bottled water, local calls, in-room coffee and tea as well as wired and wireless Internet. 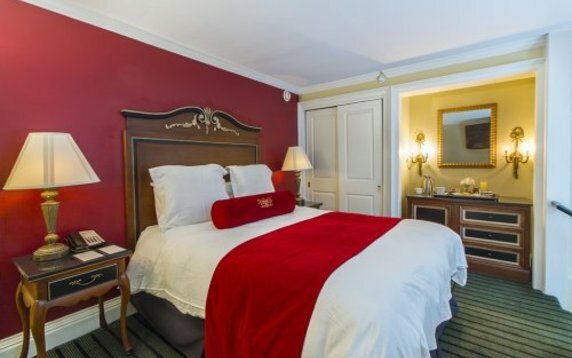 Traditional guest rooms include a queen (approx. 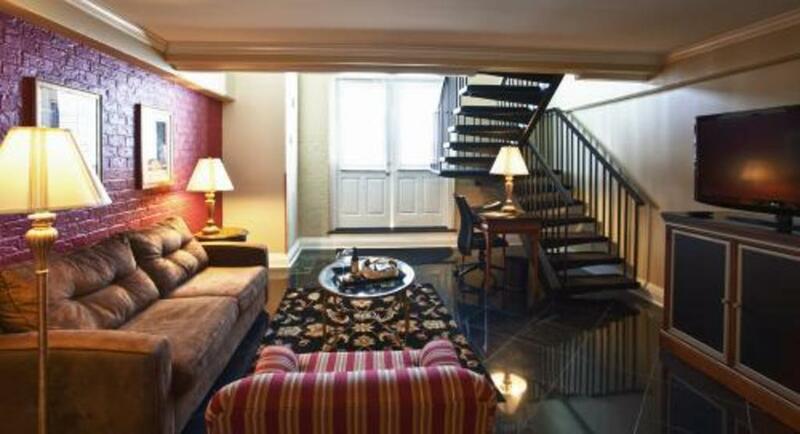 180 sq. 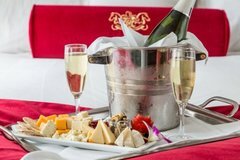 ft.), king (approx. 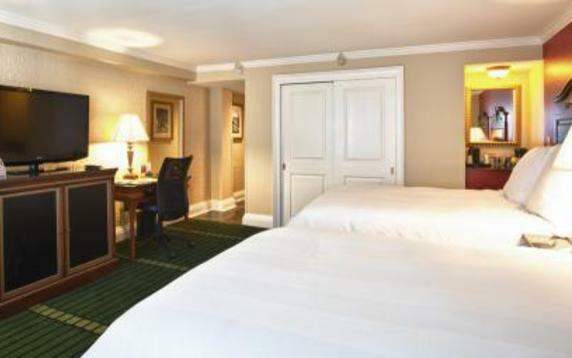 225 sq. 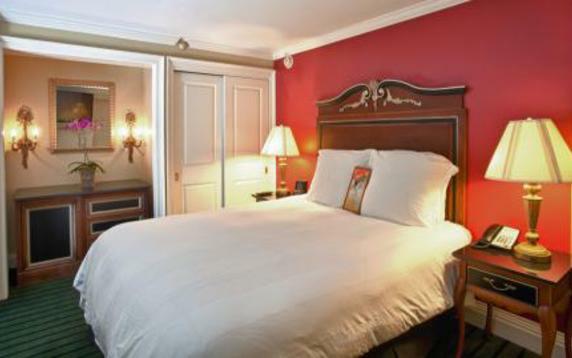 ft.) or two double beds (approx. 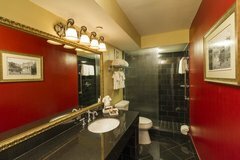 225 sq. 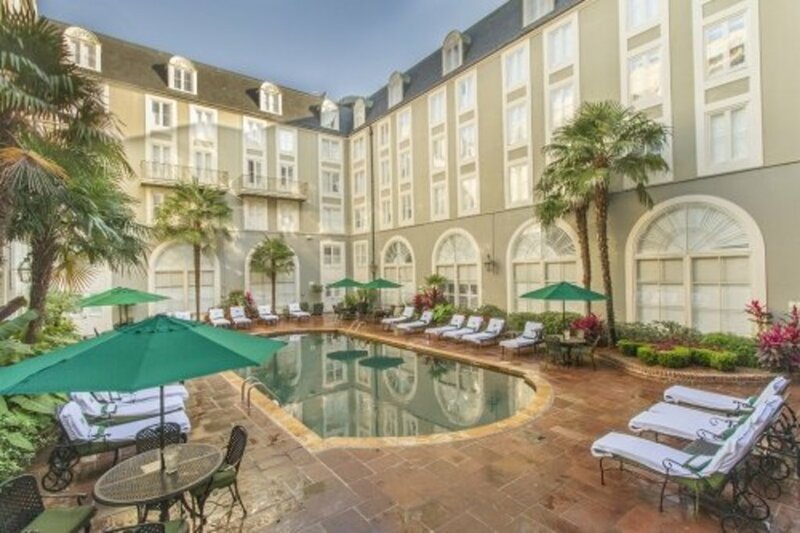 ft.) with courtyard or French Quarter views. 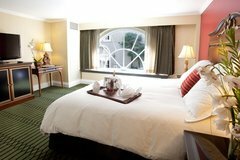 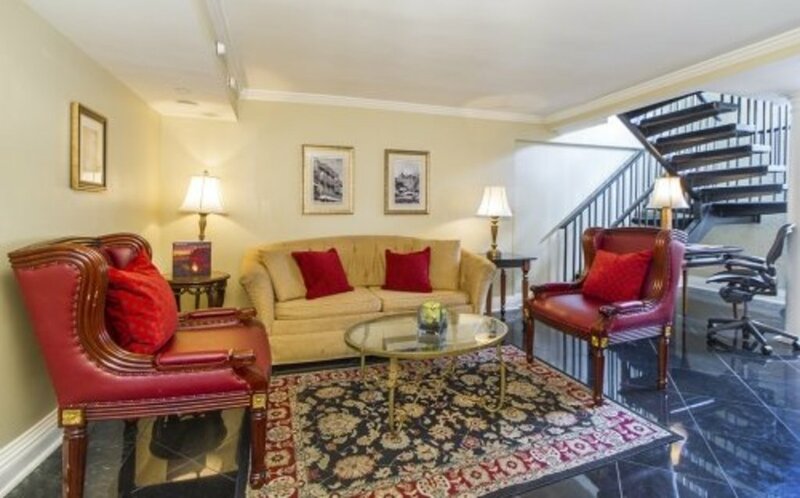 Our newly renovated French Quarter suites all feature two floors with a queen bed and spacious living area downstairs, complete with a wet bar, complimentary WiFi, 42" flat screen televisions, MP3 docking stations, in-room safes as well as complimentary bottled water and in-room coffee and tea. 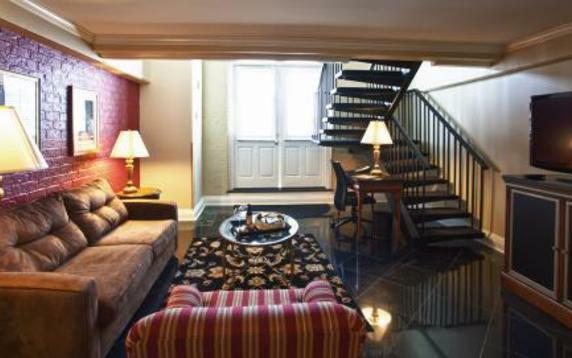 All Loft Suites are approximately 500 square feet. 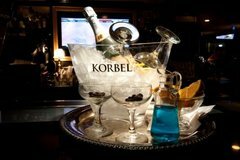 *Welcome Beverage at our Bourbon Street bar, Bourbon "O"
With so many dining and entertainment options surrounding the Bourbon Orleans Hotel, guests can experience the best New Orleans has to offer starting right here at the Bourbon Orleans Hotel. Our signature Creole restaurant, Roux on Orleans, is open daily for breakfast and dinner and uses the freshest seasonal ingredients native to Louisiana. 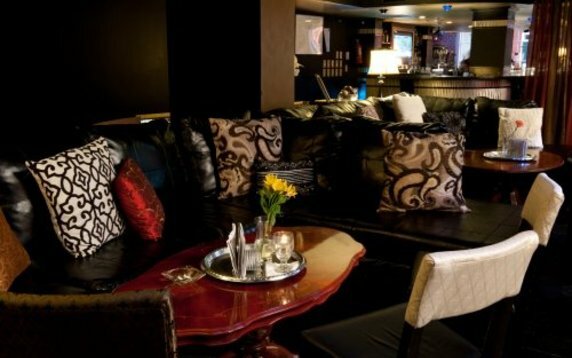 Our signature bar, Bourbon "O" faces Bourbon Street and features craft cocktails and live musical entertainment Wednesday - Saturday. 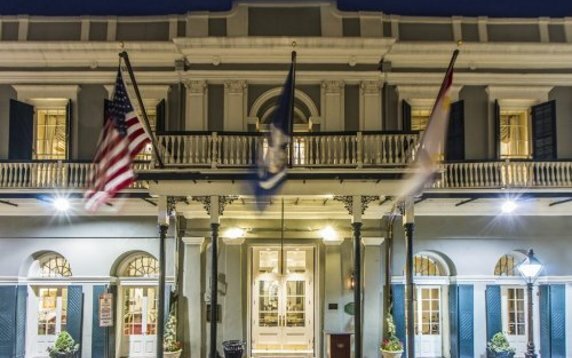 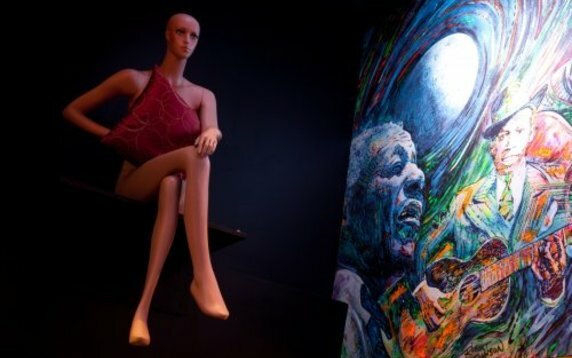 In New Orleans, there is nightlife for all tastes: those seeking a romantic evening, the partygoers, the gamblers, and the LGBT crowd. 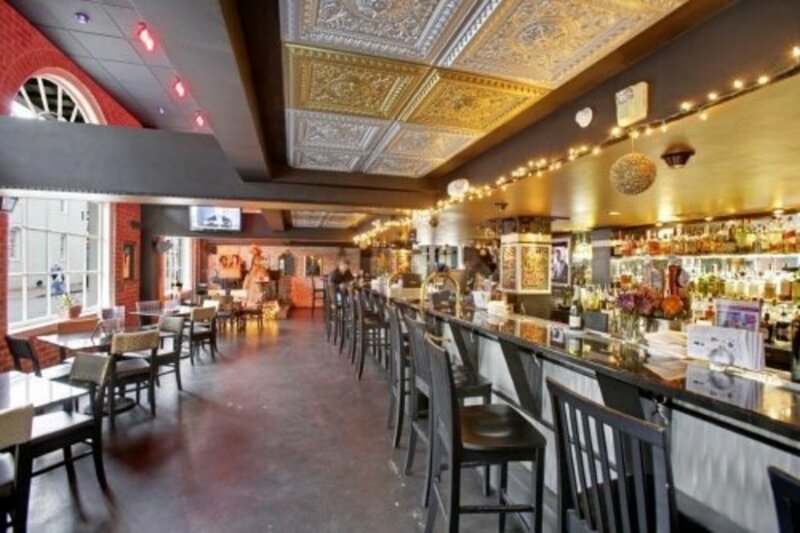 Music mavens will enjoy listening to live music and jazz from any of the many live music venues on Frenchmen Street. 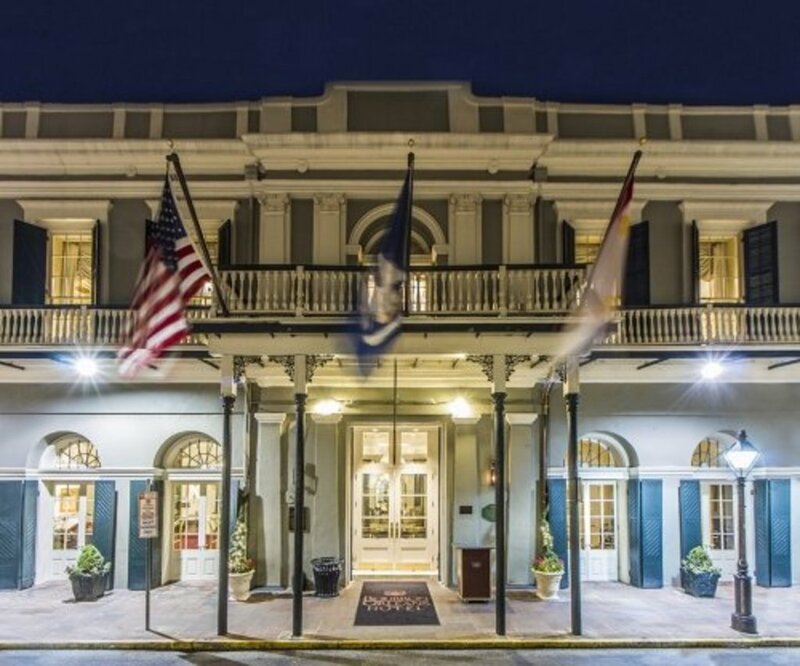 Additional music clubs just a short walk from the Bourbon Orleans include Fritzel's Jazz Pub on Bourbon Street, Tipitina’s in the French Quarter or the Davenport Lounge to name a few. 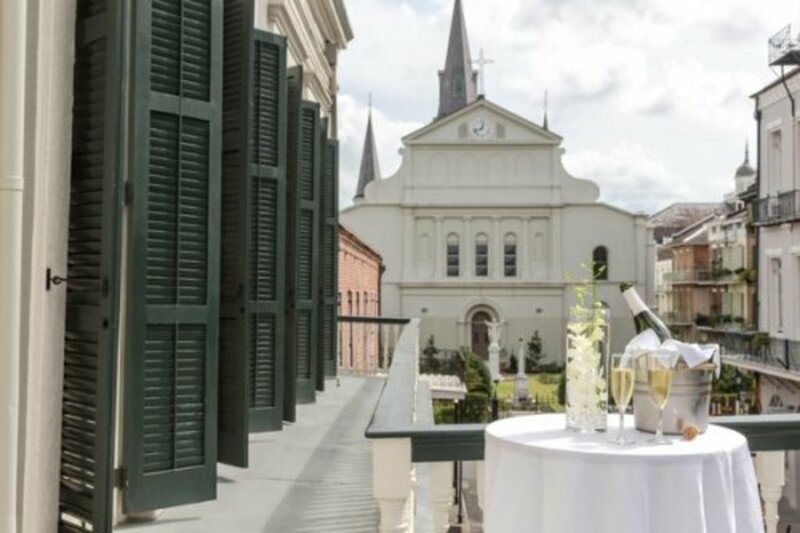 For a more relaxing and romantic evening on the town, enjoy a jazz cruise aboard the Steamboat Natchez or Creole Queen paddlewheelers as they cruise down the Mississippi River. 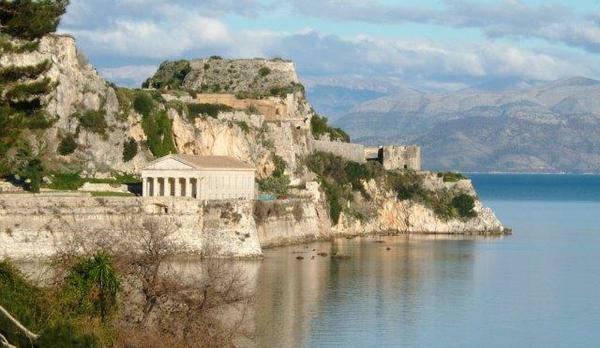 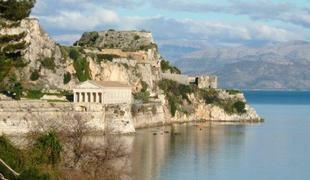 Then enjoy a moonlight stroll on the Moon Walk along the river. 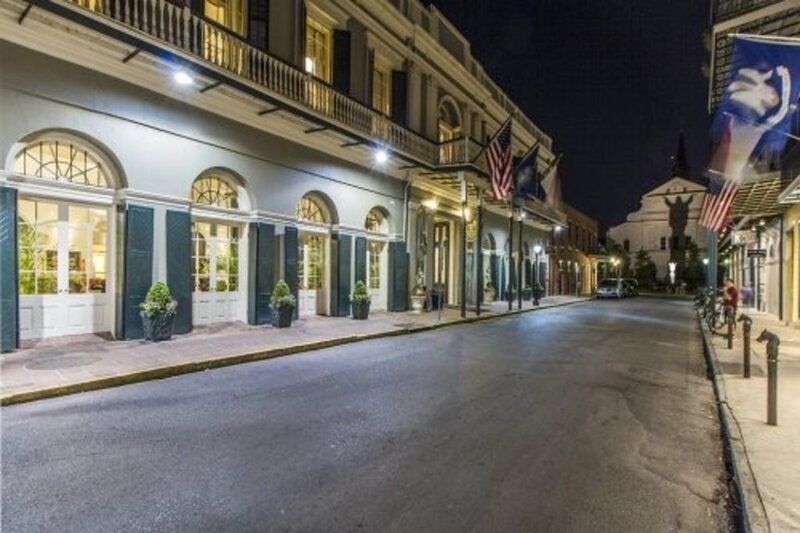 After dinner, enjoy chicory-brewed café au lait and beignets at Café du Monde just steps away from the river, open 24 hours. Half a block from the Bourbon Orleans Hotel, you’ll experience the sights and sounds of Bourbon Street with a pulsating crowd. 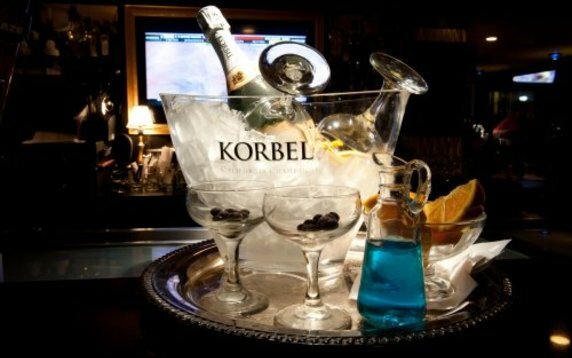 Begin your Bourbon Street experience with a craft cocktail at our Bourbon "O" bar. 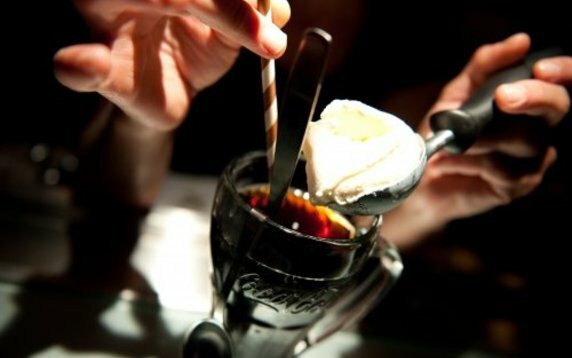 Ask for a “go-cup” at any of the bars, so you can enjoy the party outside as you experience the French Quarter at night. Add some high-stakes action to spice up the night with a trip to Harrah’s Casino. This 24-hour casino offers ten varieties of table games, more than 20 poker tables, and over 2,100 slot machines! 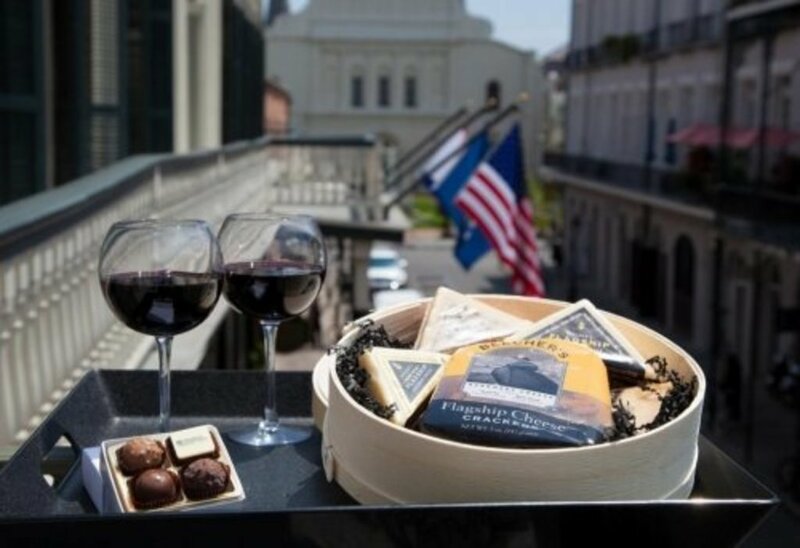 The French Quarter and adjacent Marigny neighborhood are home to several internationally known bars and clubs, including the oldest gay bar in the country, Café Lafitte in Exile. 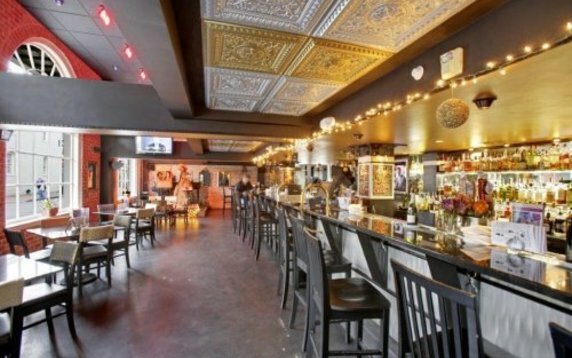 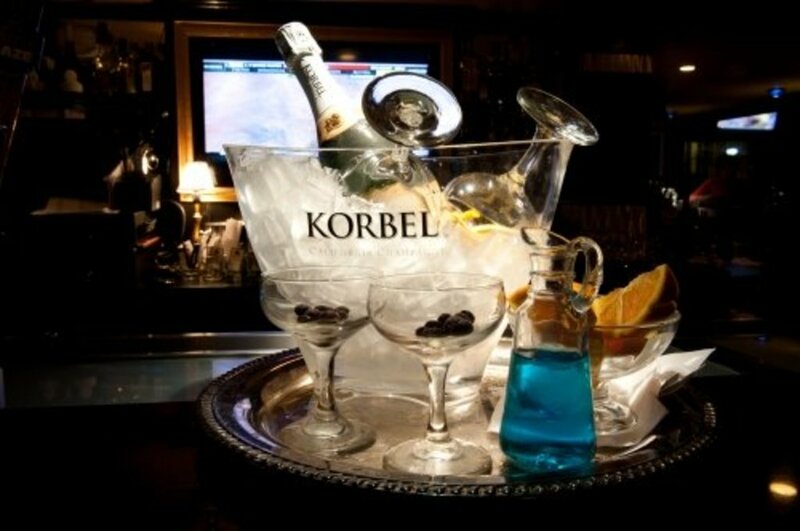 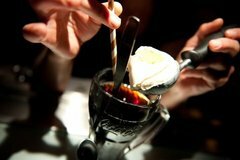 A visit to the largest gay bar in New Orleans, the Bourbon Pub and Parade, is not to be missed. 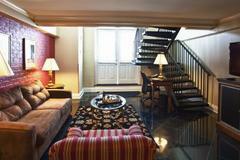 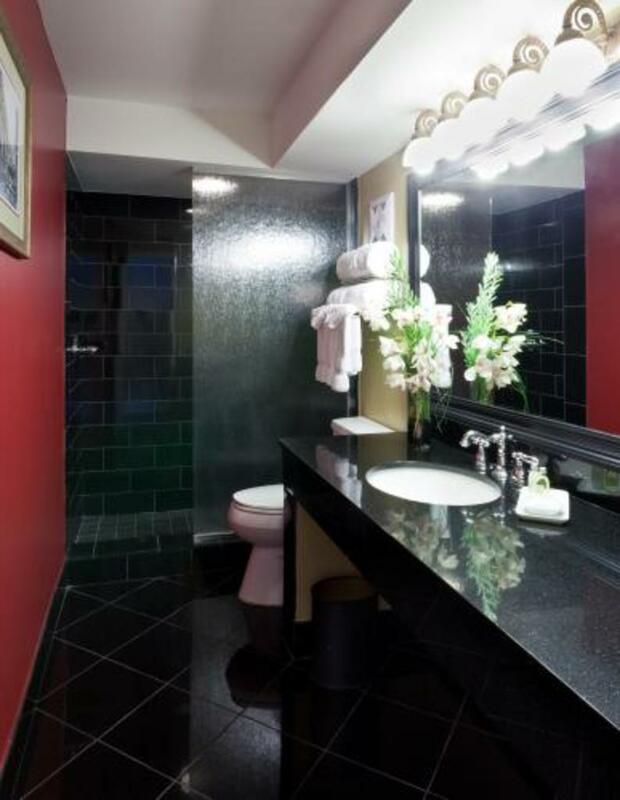 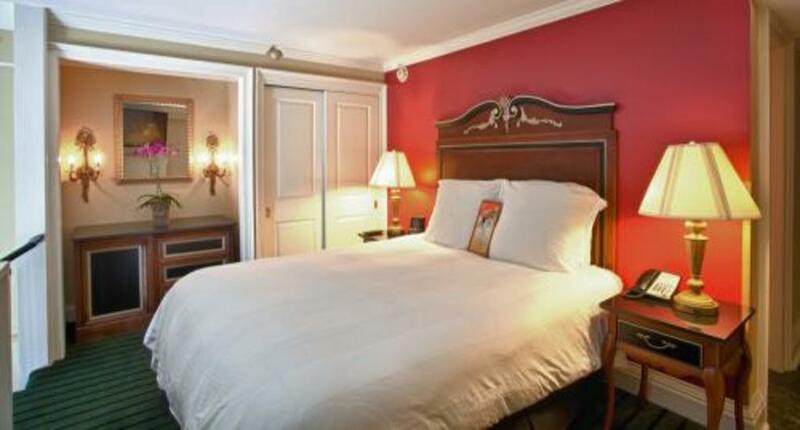 With two floors and a balcony overlooking Bourbon Street, a fun time is sure to be had. 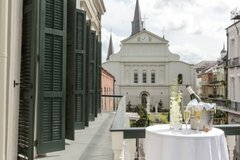 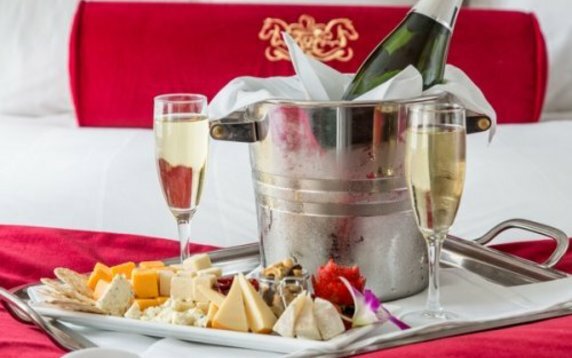 Just next door to the Bourbon Orleans Hotel is Napoleon’s Itch Wine & Martini Loft, offering over 100 exotic specialty cocktails and an exclusive wine list. *All major credit cards accepted as payment. 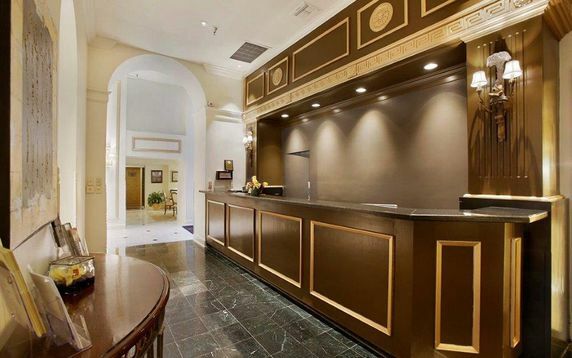 Checks are not accepted.